Every workplace needs to be a healthy environment for both employees and clients. Poor indoor air quality can greatly affect your business by harming the people working in the establishment. This could lead to higher rates of absenteeism, slower operation, and inefficient workers. There are many factors that can result in poor indoor air quality. Among these are improper ventilation, issues in controlling the temperature, high or low humidity, and various activities that release toxic chemicals that blend with the air. If ignored, this condition can make your workers and customers sick. Because of this, it’s your responsibility as a business owner to ensure that your workplace has good indoor air quality. An office space has to get 20 cubic feet per minute of fresh outdoor air per person, as well as 140 cfm per 1,000 square feet of net floor space. If your building isn’t getting enough fresh air, then health issues would soon arise. When the office starts to feel “stuffy,” you shouldn’t ignore it. This could indicate a buildup of carbon dioxide, which occurs when there’s not enough outdoor air getting inside. Normal levels of carbon dioxide aren’t really harmful to people’s health; however, they can still affect them in some ways. Your employees might experience sleepiness, stuffiness, and headaches. These can then affect their performance at work. If the ventilation unit has been set to “Auto” for a long time, chances are the indoor air quality isn’t that good. Many people think that this setting will help regulate the flow of air inside. The truth though is that it prevents fresh air from regularly getting in. “Auto” means that fresh air is released only when the ventilation system senses that the air has to be either hotter or colder. Otherwise, no fresh air is being introduced, which is most of the time when the unit is on auto. The best way to set the system is to put it to “on,” except when it’s too hot or cold. Have the employees been experiencing itchy and watery eyes and throat irritation? These symptoms might be caused by poor indoor air quality, if not allergic reactions. Due to an accumulation of ultra-fine particles in the air, people who stay inside the workspace for long periods start to get sick. These particles usually come from different office and manufacturing equipment like fax machines and printers. You should never ignore these signs as they can create bigger problems for your employees and your business. 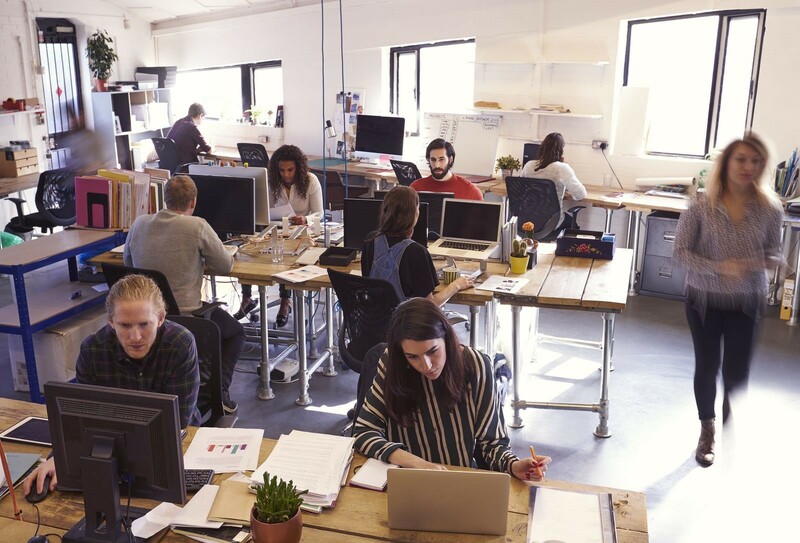 It’s important to call professionals to conduct regular indoor air quality testing to ensure that your workplace is a healthy space for everyone that comes and goes. We cover the entire California region including: San Francisco, Los Angeles, San Jose, San Diego, Sacramento, Long Beach and Oakland.